The Institut Michel Guérard® is in Eugénie-les-Bains, in the Landes region, in the grounds of the estate and very close to the Les Prés d’Eugénie hotel and spa complex. Training courses are provided in a recently completed, high quality architectural space, made up of a light, spacious culinary laboratory, covering an area of 100 m2, a classroom (35 m2) and a dining room used for tasting and testing the food (40m2). 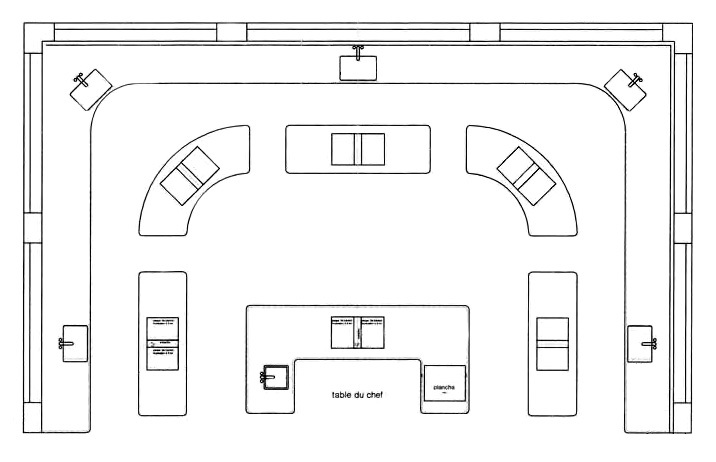 The culinary laboratory is organised around a double central island, used by the teacher(s), surrounded by five double islands each of which is used by two pupils, each of whom has an individual space facing the teacher. The laboratory has all the latest equipment used in cooking and pastry-making today, so that the pupils can experiment with the techniques they are taught and which make up the Cuisine and Pâtisserie de Santé® repertoire. Each pupil has a huge work surface space, a double hob and individual facilities, so that s/he can carry out all of the work him or herself. This way of organising things guarantees both efficiency and speed, helping pupils to learn as many techniques as possible.